I'm so excited to host this week's Pin-Inspiration Party! I was afraid I wasn't going to be able to make it, but that pesky hurricane turned another direction and we ended up with family evacuating to us! much for joining us as always!!! There was no accident about Accidentally Wonderful's White Chicken Enchiladas I can PERSONALLY vouch for this recipe. I already made it and it was a huge hit! I'm loving all things reusable right now. 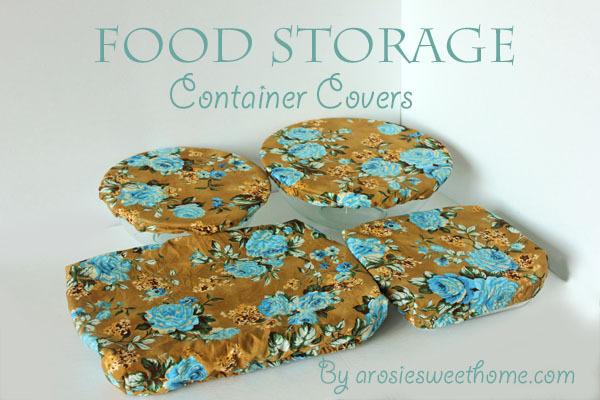 So these reusable food storage covers from A Rose Sweet Home really caught my attention. My favorite book when I was a tween was Anne of Green Gables. Naturally, I immediately fell in love with this dresser from Simply Vintageous. I think she might be a kindred spirit. amazing folks are up to this week! to comment on your wonderful projects. Thanks so much for stopping by Posed Perfection today and leaving me a sweet note and thanks for the invitation to your fabulous party. I am following you. Hope you'll visit me again soon. Thanks for hosting Im a new follower and hope you can visit me if you have time.